This web site will serve as the base for the new Geocaches and events being held at the Crosswinds Marsh Wetland Interpretive Preserve during 2018. As plans are developed they will be announced on this page and then links to event pages and new Geocaches will provided here. Stop back often to see what's new. Crosswinds Marsh Preserve is a prime location for geocaching. There are over 60 quality geocaches placed and maintained regularly by the Crosswinds Cache Crew. The caches include mostly regular caches Some geocachers spend a day trying to find them all. Others pick a section and visit caches leaving areas to return to another day. The Crosswinds Cache Crew promise to develop and maintain quality, and interesting geocaches in the Marsh consistent with Geocaching and Wayne County Parks rules. All of the caches receive park management approval through a permit process. We do ask that all geocachers follow all park rules while participating in our programs and hunting for geocaches. NatureFest is a nature-oriented event that featured live entertainment, nature crafts and games, face painting and free canoeing. . All kinds of creatures were on hand at the animal tent, petting farm and live animals presentations. Fishing poles and bait are provided. Show your appreciation for the park's support of geocaching by helping spruce up the marsh. There will be CITO opportunities on land or jump into one of the park's provided canoes to reach some of the more remote areas of the marsh. Please note that personal watercrafts are prohibited at the marsh. We will be meeting in the parking lot at 12:30 PM. The park will be providing canoes (and required life jackets), trash bags, and buckets. Like all CITO events, be sure to bring gloves, boots, and old clothes for the clean up (and a change of clothes for afterwards if needed). Also please bring a long handled net if available.. The Geocaching Event ran from 1:00 PM until 5:00 PM. It it included over 40 new "lock & lock" style caches, (including a new series of caches with a 'commemorative collectible' for those that complete the series of twelve), a FTF raffle, trackables table, prize table and a potluck picnic lunch. 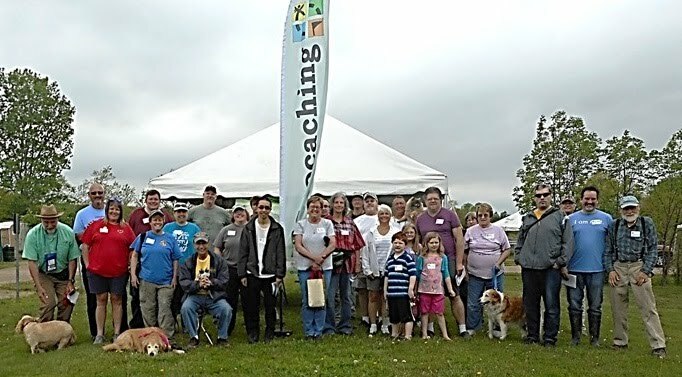 On August 11 the Parks system put on a Hobby day and invited the Crosswinds Cache Crew to participate again. As part of the day's activities a Geocahing event was held which included the launch of 12 Geocaches dedicated to the 12 invasive species located in the reserve. This cache is one of them. A link to all 12 of the caches may be FOUND HERE. In the cover of the cache you will find a three digit code. Record this code for entering into a online form for registration for Pathtag for those that complete the series. The link to the form is found HERE. The Crosswinds Cache Crew pledge to develop and maintain quality and interesting geocaches in the Marsh consistent with Geocaching and Wayne County Parks rules and permit process. For more information on the Cache Crew and our endeavors, please visit us on social media.